Neeko is young, but sometimes acts as if her hips bother her. I do all I can to help her. I try to keep her lean, feed a species-appropriate diet, and supplement with glucosamine and fish oil. 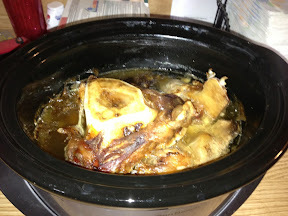 Recently I've read about bone broth being good for joint health and overall wellness in both humans and dogs. 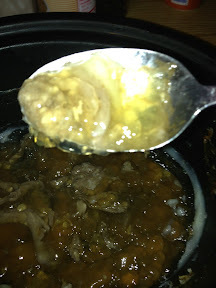 "Broth is very high in the amino acids proline and glycine which are vital for healthy connective tissue (ligaments, joints, around organs, etc)." "Besides it’s amazing taste and culinary uses, broth is an excellent source of minerals and is known to boost the immune system (chicken soup when you are sick anyone?) and improve digestion. Its high calcium, magnesium and phosphorus content make it great for bone and tooth health. 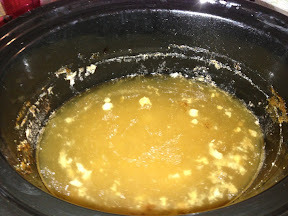 Bone broth also supports joints, hair, skin and nails due to its high collagen content." I decided to make some. This was a 2.5 day process. 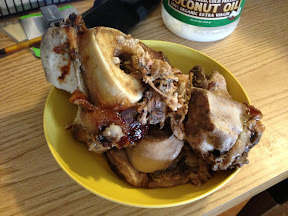 I started with a large beef knuckle bone from Rodney, and a few roast chicken bones. The knuckle bone had a bit of meat on it. 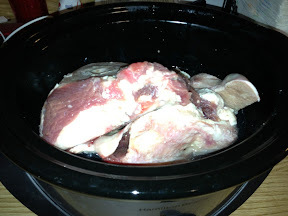 I placed them in a five quart slow cooker/crockpot. ...and about two cups of water. 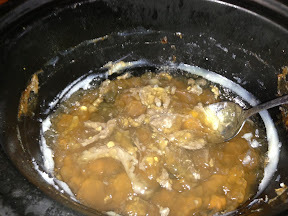 I turned the crockpot on low, and let it cook/simmer for 30 hours. Most recipes call for straining, but I simply removed the bones and a couple pieces of meat with tongs. 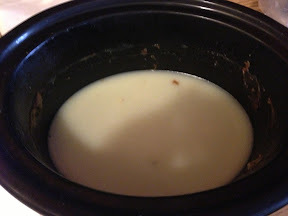 I then placed the crock in the refrigerator for a few hours. 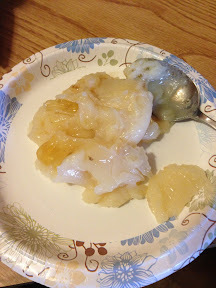 The fat hardened at the top, and I easily skimmed it off with a spoon. 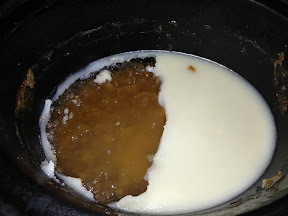 The broth was of a jelly-like consistency, which is a good thing. I spooned it into ice cube trays and placed in the freezer. 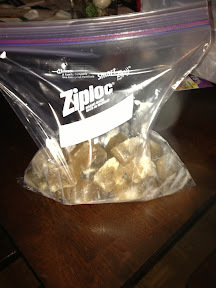 I froze them for 24 hours, and then popped the cubes into a Ziploc bag. While these are mainly for Neeko, I offered all three a cube tonight, and they were all consumed with vigor. I'm still working on trying to figure out what an appropriate "dose" is. 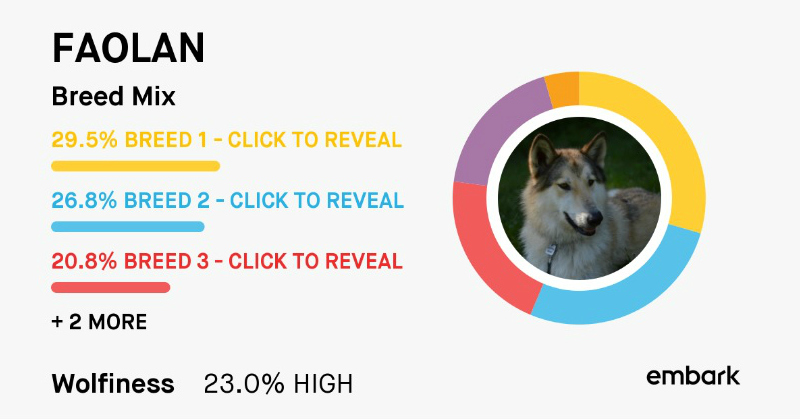 Wow, you definitely put a lot of effort into your dogs. 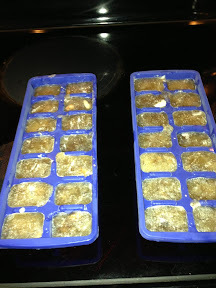 Let me know how the beef broth ice cubes work out. They seem more like a healthy treat than a supplement. Great for the upcoming summer days, for sure! Our pug, Audi has hip dysplasia real bad. We've been giving him glucosamine and keeping him lean, but he's deteriorating right before our eyes. So sad. That is sad. I'm very sorry. I'll have to try this, it'd be a great summer treat. 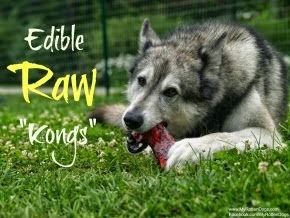 I probably can make them into things like frosty paws. 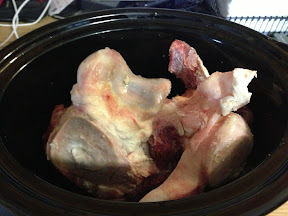 I can get beef and lamb bones to use. Yay, thanks Rebekah!! Tasty! 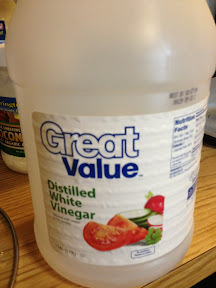 May we ask why the vinegar? It's my understanding that acid helps to draw the nutrients and collagen out of the bone. Most recipes I've read have called for it. Ooh, I'm a bit of a soup hound myself, so sometimes I do make broth for the dogs. But not as often as I could. 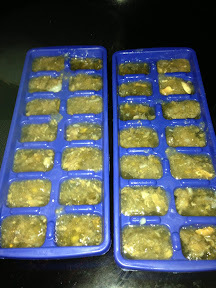 And I didn't think to freeze them into cubes before, nor did I know about the vinegar. Nice writeup! Ace would LOVE that! 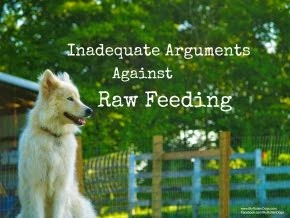 Lots of great ideas on your blog.